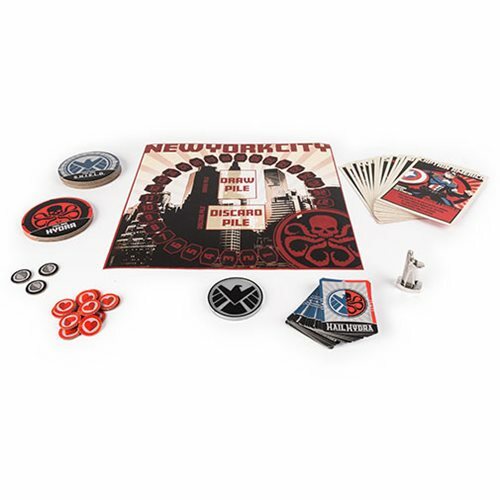 The Marvel Hail Hydra Board Game is the social deduction game that has players take on the role of S.H.I.E.L.D. agents defending the world against HYDRA. The twist is that one or more of the players are actually members of HYDRA that are secretly sabotaging the same efforts to save the world. This game is a must have for the core Marvel fan and collector. Play as your favorite Marvel heroes (14 included) to save New York City from destruction. Try to identify which players are hidden HYDRA agents sabotaging your efforts. Embrace the mystery as subterfuge takes center- stage in this epic battle between S.H.I.E.L.D. and HYDRA. 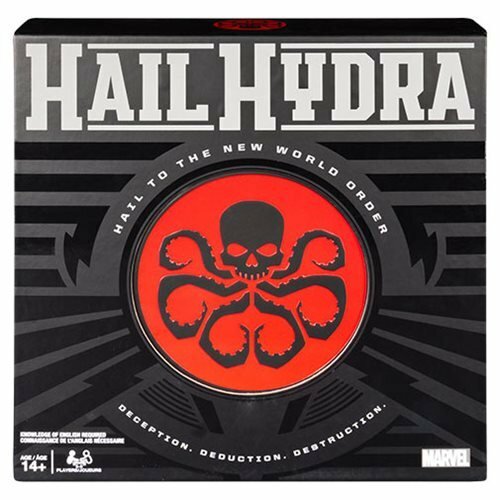 The Marvel Hail Hydra Board Game is a great addition to your next game night. For 5 to 8 players. Ages 14 and up.